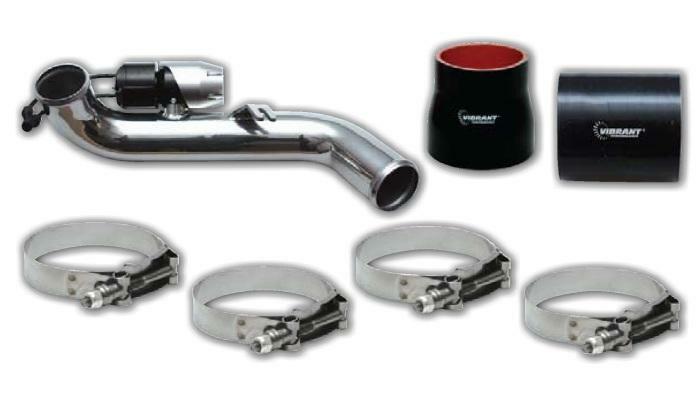 To compliment our popular BOV program, we are pleased to launch our new line of intercooler pipe kits. Each application-specific kit has been meticulously engineered to be a direct bolt-on installation, that does not require any cutting or modification. This means that each kit can be installed by an experienced installer in a relatively short amount of time (about 4 hours). We have made every effort to design these pipe kits so as to maximize charge velocity and reduce unnecessary bend radiuses for optimum performance. All of our pipes are 100% CNC mandrel bent. We also include high quality 4 ply reinforced silicone hose couplers, Stainless Steel T-Bolt clamps, a Synchronic BOV/DV (where applicable), all necessary mounting hardware and installation instructions. Each application is designed to maintain the proper recirculation of the diverter valve for maximum performance and daily drivability. Some kits are designed to work directly with the OEM airbox for a stealth appearance. amazing seller kept me up to date on the order. I will do business with them again. Easy to find part and verify fit, price is low shipping not outrageous. Best price I found on Weathertech digifit floor mats for my 2012 F150 Supercrew. Product was as described and shipping was fast too. Great prices and great communication! !